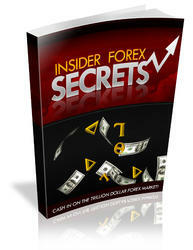 The Forex market, just like every other market in the world, is driven by supply and demand. In fact, understanding the concept of supply and demand is so important in the Forex market that we are going to take a step back into Economics 101 for a moment to make sure we're all on the same page. 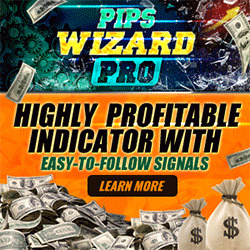 Having a good grasp of supply and demand will make all of the difference in your Forex investing career because it will give you the ability to sift through the mountain of news that is produced every day and find those messages that are most important. So how do supply and demand affect the Forex market? Supply is the measure of how much of a particular commodity is available at any one time. The value of a commodity—a currency in this case—is directly linked to its supply. As the supply of a currency increases, the currency becomes less valuable. Conversely, as the supply of a currency decreases, the currency becomes more valuable. Think about rocks and diamonds. Rocks aren't very valuable because they are everywhere. You can take a walk down a country road and have your choice of hundreds or even thousands of different rocks. Diamonds, on the other hand, are expensive because there aren't that many of them in circulation. There is a small supply of diamonds in the world, and you have to pay a premium if you want one. On the other side of the economic equation, we find demand. Demand is the measure of how much of a particular commodity people want at any one time. Demand for a currency has the opposite effect on the value of a currency than does supply. As the demand for a currency increases, the currency becomes more valuable. Conversely, as the demand for a currency decreases, the currency becomes less valuable. To get a good idea of the effects demand can have on something's value, you have to look no further than Tickle Me Elmo. When Tickle Me Elmo was first released, there was an insanely high demand for the toy. Mothers and fathers were trampling each other to grab and pay for Elmo before someone else could wrestle it from their arms so they could make sure they had everything on their kid's holiday list. For those who weren't fast or aggressive enough to get Tickle Me Elmo at the store, paying outrageously high prices on eBay was their last resort. Huge demand had made this red, giggling doll much more valuable than it would have been if nobody's child had wanted it.